In San Francisco, the real summer temperature only occurs during Spring or Fall. The entire September has been sunny and relatively warm, and we even got hit by a heat wave starting middle of last week. Temperature rose to the 90’s in the east bay. I dug out all my short sleeve shirts and managed to wear them all. I even wore a skirt yesterday! The children section of the new Green Apple Books is awesome! 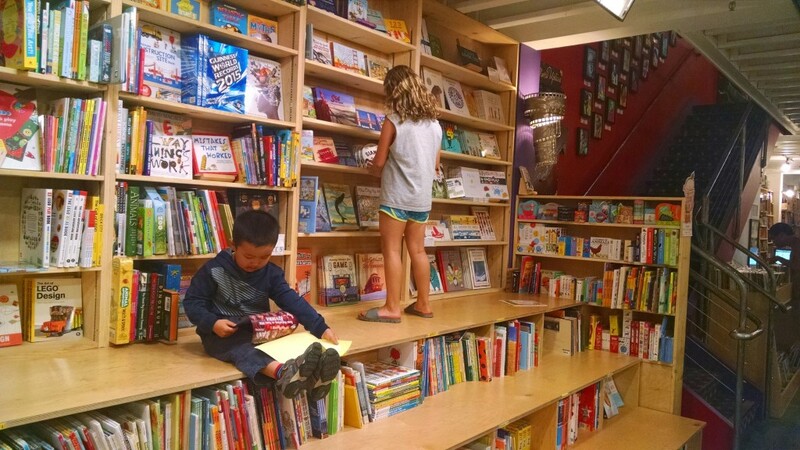 Tonight we checked out the new Green Apple Bookstore in the inner sunset after dinner. The street was filled with people. Lovely days. Even though one could already feel a hint of chill in the breeze after the sun set. Tomorrow will likely to cool down. Goodbye, Summer! Prob’ly getting gorgeously tanned in summer.